SATURDAY 9th March 2019- Put it in your diary NOW! Awaken your senses and explore wines from all around the world. Enjoy a relaxed fun afternoon where you will be guided through tasting up to 12 different wines from all around the world. We will tantalise your taste buds and explore together all the major grape varieties, sparkling wine, sweet dessert wine and even fortified port. We will discover more about France, Italy, Spain and the New World and the major wine producing regions. Tips on how to choose better wines. Facts v Fiction – Wine Myths debunked! Sound good? Does it sound like something you have always wanted to do? Grab a friend, make a day of it, come join us for an afternoon that promises to be interactive, educational and most of all fun! You will leave with enhanced wine tasting skills, more confidence when buying wines and a better understanding of what makes a good wine. Meet new people and make new wine loving friends! Only 12 tickets on sale! Don’t miss out on an unforgettable wine appreciation experience. Secure your place now for only €149 and put the date in your diary! If you’ve gotten this far and have no idea who I am! 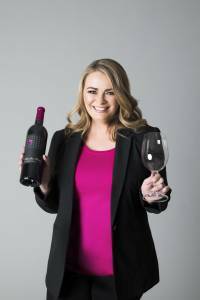 Hi, I’m Lynda, founder of Wine Tasting Ireland, I have a WSET Diploma in wine. My passion is wine and taking the snobbery out of it, making it accessible to everyone. Wine Tasting days are my favourite way to reach people and share my knowledge, love and expertise in fun and affordable way. I really look forward to meeting you at one of my up-and-coming events.